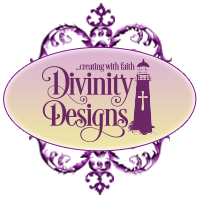 Divinity Designs, LLC Blog: February New Releases! 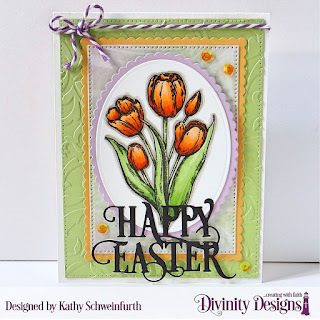 Although it doesn’t seem like it, in light of the arctic blast that came through this week, but it is time to look ahead to Easter and springtime!! 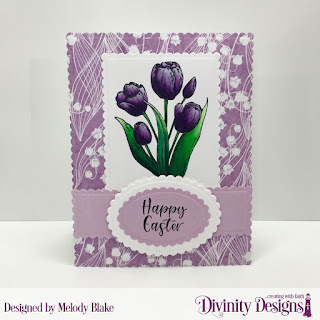 We have a wonderful selection of stamps, dies, stencils, an embossing folder and a paper pad to bring to you this month! 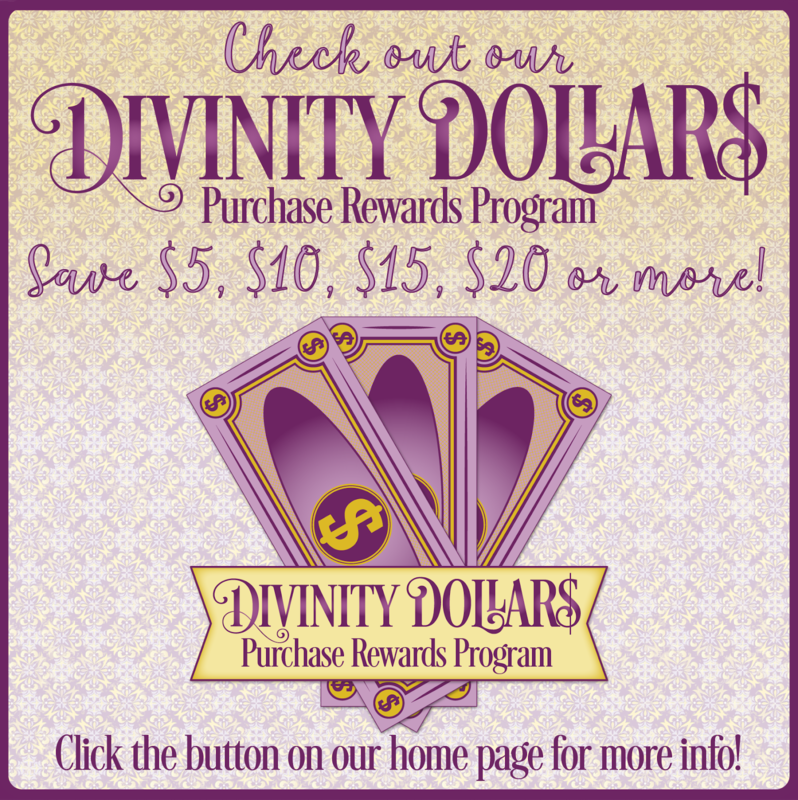 click here to order from our website! You can also call Josh at 877-451-4909 to place your phone order. 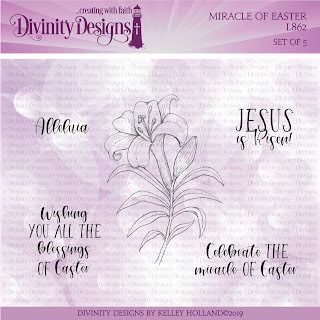 Our Easter 2019 stamps are Glorious Easter, Miracle of Easter and John 3:16. 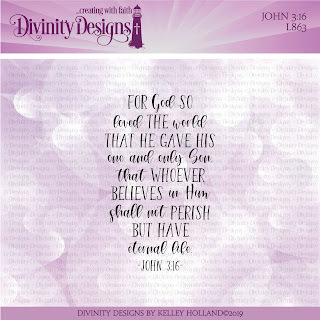 The John 3:16 verse is so popular and a favorite of so many! 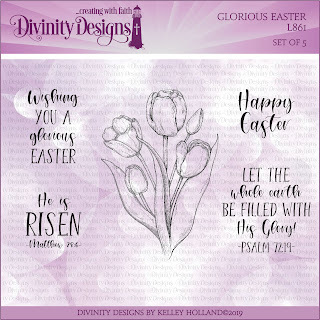 I know you will love this version with the new updated font! 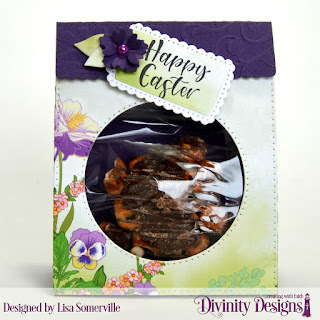 After seeing how well loved the Merry Christmas Caps and Happy Birthday Caps dies were, we designed a similar Happy Easter Caps die. 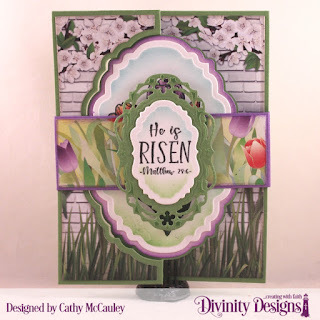 Big and bold die cuts make card making so quick and easy! 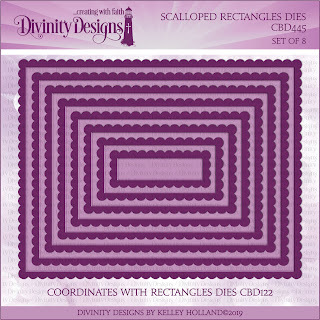 Continuing on the in the Basic Dies Category, are these new Scalloped Ovals and Scalloped Rectangles die sets. 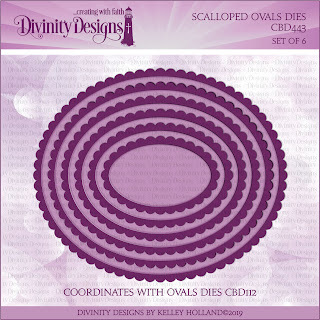 They coordinate with the basic Ovals and Rectangles die sets to make layering a breeze! 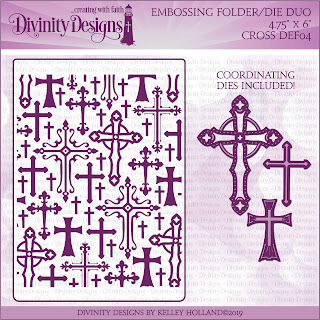 New this month, we added on to our Embossing Folder Category by designing this Cross Embossing Folder/Die Duo! 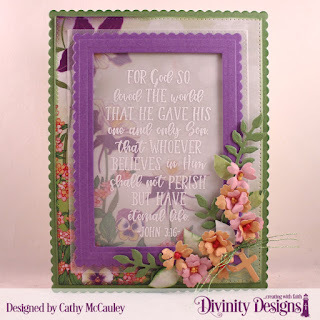 Not only do you receive the Cross Embossing Folder but included are 3 coordinating Cross die cuts!! 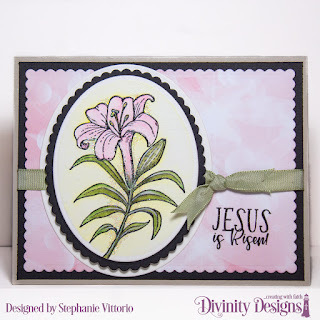 What a beautiful way to make a pretty, coordinating card! 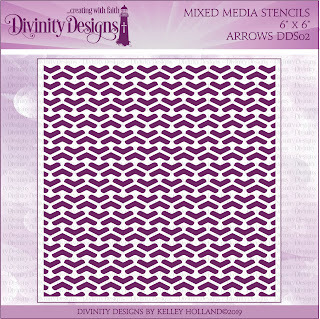 Our 2 new stencils for February are Arrows and Flourishes! 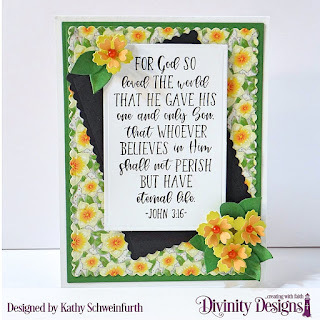 I just love that you can use the stencils in so many ways and with lots of fun techniques! Speaking of techniques, you need to Follow us on Instagram and Facebook, where we have started a new video series! 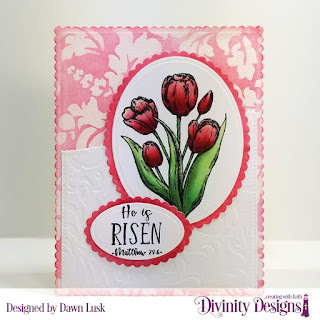 Dawn Lusk demonstrates coloring Divinity Designs stamps using Copic markers. 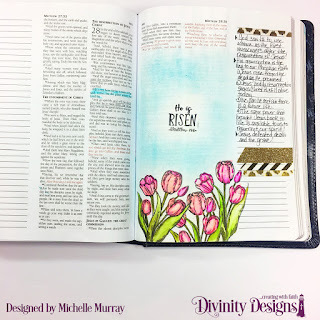 Watch as Dawn colors and shades to create beautiful images! 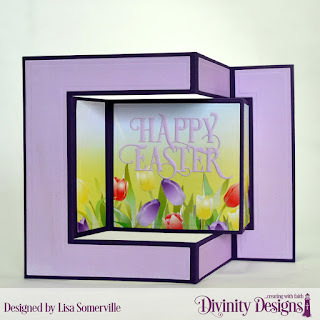 Lisa Somerville’s videos will concentrate on card assembly, and multiple ways to emboss and stencil using different products! 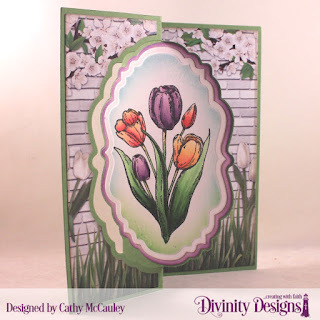 Last up is our new paper pad, Spring Flowers, and I know you are going to love the gorgeous colors in this pad. It for sure one of my new favorites!! 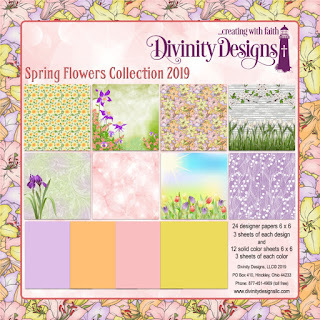 Click HERE to see all the papers in this 6" x 6" Paper Pad Collection! 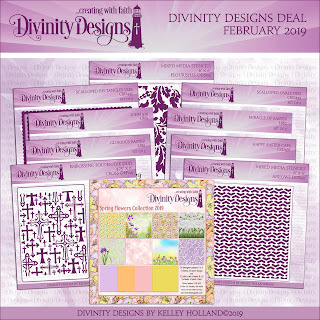 Be sure to watch our February Release Video for tips on using the products in the February Release! 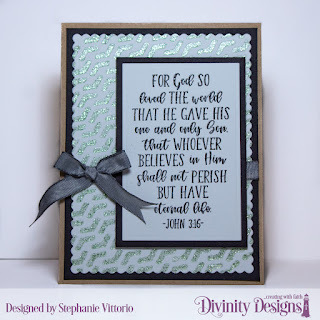 For details on the products the designers used to create their projects, please click their cards below. 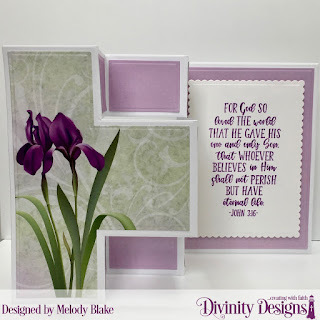 Additional card samples and projects can be found on the webpages, Samples GalleryFacebook, Pinterest and Instagram. 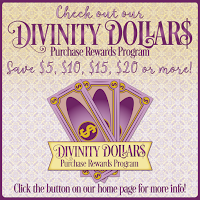 Thank you joining us this month and for viewing our new releases! 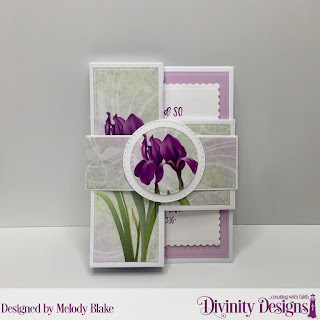 Love these, fabulous release, thanks for the inspiration!